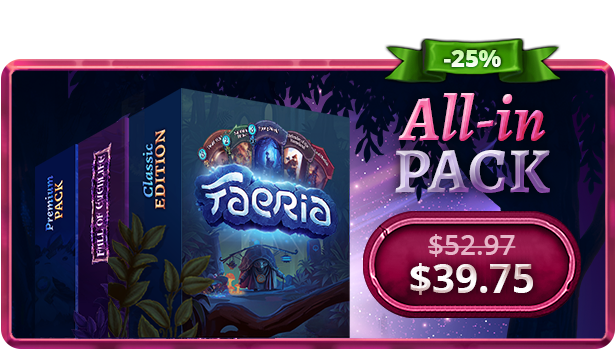 Welcome to the world of Faeria, where Strategy Card Game meets Living Board. Build your deck, shape the battlefield and defeat your opponents in epic battles! A strategy game like no other. Build exciting decks and shape the battlefield as you fight epic battles. Earn your collection through our simple and affordable DLC-based business model. 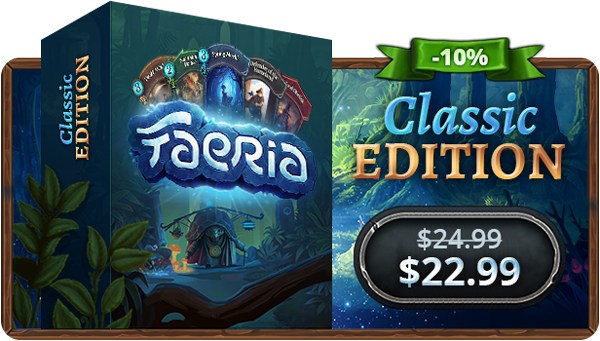 Experience a card game without expensive micro-transactions. Enjoy 100+ hours of solo content, co-operative missions, and puzzles! Enter Pandora, Faeria's unique draft mode that where your deck-building skills are put to the ultimate test. Become a part of our thriving, supportive, and helpful community by joining our official Discord channel, subreddit, or forums - or join The Hub! Compete in regular officially-recognized tournaments with great prizes - or watch them live and win in-game loot! Chronicles of Gagana is released! Time to enjoy a full weekend of treasure hunting. Great! Learn more about building decks and pick up some strategic tips from our community. Looking for some friends, or just want to chat? Our official Discord is full of active discussion on all things Faeria related. We warmly welcome you! Looking to put your competitive spirit to the test? 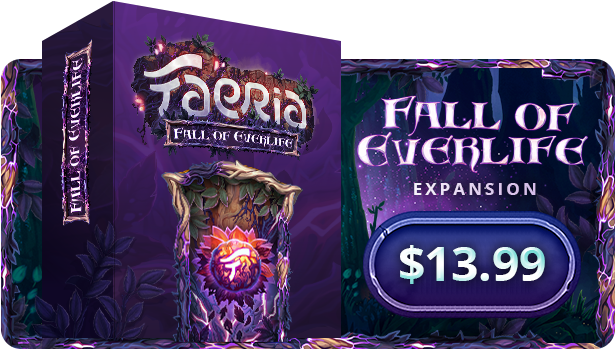 The Faeria World Circuit allows you to battle for real cash prizes!